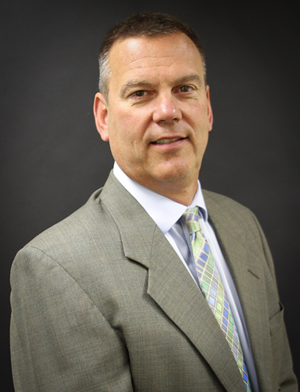 Evans Distribution Systems has hired Stephen Ruch as their new general manager of warehouse operations. This move comes as Evans replaces former vice president of warehouse operations, Karen Toth, who is leaving Evans after 16 years of dedicated service to spend more time with her family. Ruch comes to Evans with more than 25 years of experience in operations management and a strong Information Technology background. Ruch spent the last 17 years at Great Lakes Wine and Spirits, Michigan’s largest wine and liquor distributor. He achieved great success in previous positions with process improvements, technology enhancements and cost control methodologies to fuel productivity and heighten customer satisfaction. The general manager of warehouse operations oversees more than 15 operations and more than 300 employees, including 20 direct reports. He is responsible for operational problem solving, management solutions, knowledge of our warehouse systems, and leading the vision and strategic plan for the warehouse division. Ruch will work with multiple internal teams to stay on the cutting edge of technology and customer oriented warehousing solutions, develop and monitor quality standards and productivity, and help with customer relationship management. “Evans is the type of place where I wanted to end up” said Ruch. “This company is ready to explode and I want to be a part of it, not just a number” Ruch said about the growth of Evans Distribution Systems. He feels like his background and formal education can really be a contributing factor to the future growth of Evans. Ruch has a bachelor’s of business administration from Eastern Michigan University, and is a certified public accountant. “Steve is a self-starter and energized by success, he’s the exact match for this role” said John A. Evans, president of Evans Distribution Systems. Leslie Ajlouny, vice president of business development said “he’s a great fit, lots of ideas and he brings a fresh perspective to Evans”. Evans Distribution Systems, headquartered in southeast Michigan, was founded in 1929 as the Central Detroit Warehouse Company. It has evolved into a full-service, third-party logistics provider offering warehousing, transportation, contract packaging and staffing to the manufacturing, food and beverage, consumer goods, and chemical industries. Evans currently employs more than 700 associates and operates over two million square feet of space in Michigan and across the U.S. Find more information on our website, easierwithevans.com. Read the latest supply chain insights at Evans’ blog, or follow the company on Facebook and Twitter.